Dental implants are a highly successful treatment and an excellent choice for replacing your missing tooth. Now that you’ve made the investment in your oral health, you need to how to make the most of your new tooth. 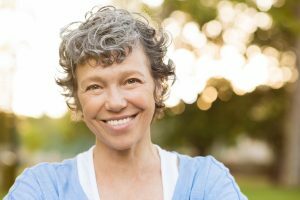 Your trusted team at Rocky Mountain Periodontal Specialists discusses how to take care of your dental implants in Colorado Springs. In order to know how to best care for them, it’s important to first understand how a dental implant works. It’s essentially comprised of three parts. First the implant itself is surgically placed into your bone and allowed healing time. Implants are made of titanium, which naturally integrates with your bone over time and creates a firm and stable foundation for your new tooth. After the appropriate healing time has passed, your new tooth is attached to your implant with an abutment. Your new tooth is a high quality porcelain crown that is custom designed to match your existing teeth and naturally complement your smile. Dr. Karl Lackler and Geoff Haradon, your trusted team at Rocky Mountain Periodontal Specialists, can both place and restore your dental implants here in the comfort of our Colorado Springs office. The secret to the success of your implant lies in the fact that it restores both your root and your tooth. It closely mimics your natural tooth, which means that you’ll enjoy all the function such as eating, chewing, talking and smiling that you had with your natural tooth. Your implant is also easy to brush and floss, so there are no changes to your home care routine. It’s important to keep your implant tooth clean and plaque free in order to avoid infection. This can be done with diligent brushing and flossing, and regular visits to your dental team. Your hygienist will use special tools to clean around your implant tooth that are designed to remove plaque buildup, while protecting your crown and the dental implant itself. Your dentist will also monitor the health of your implant with yearly x-rays. At Rocky Mountain Periodontal Specialists, our doctors are periodontists, which means they specialize in the health of your gums, bone, and placement of dental implants. We encourage you to contact our office to learn more about how to care for and make the most your dental implant.